What do you remember most about Grandma? Here are some photos that bring back particular memories to me! 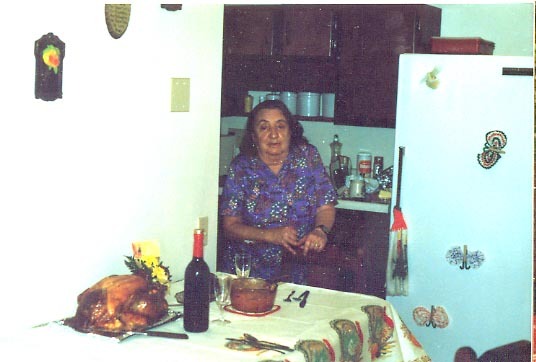 Everyone in our family remembers something that Grandma used to cook - she took great pleasure in fixing meals for family and friends. 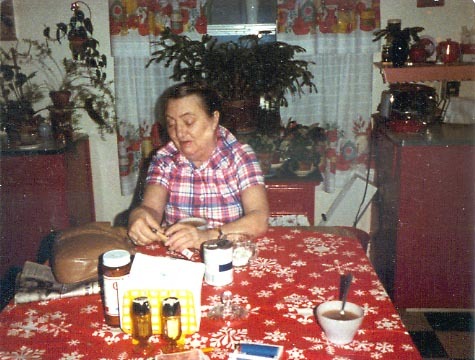 Here she has put together a Thanksgiving meal in her apartment on Lake Avenue, probably around 1989 or 90. Tables weren't only for eating meals - they were also were people gathered to talk and play cards. We are not sure whose house this was in, but the photo dates from March of 1983. 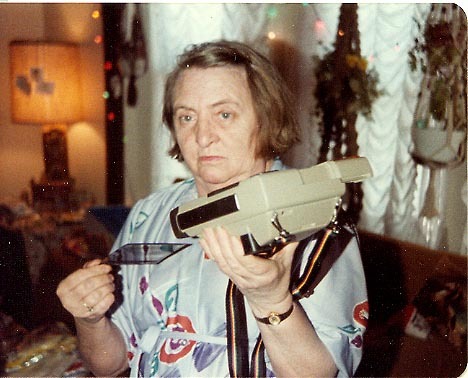 We always kidded Grandma about technology, it was always a challenge for her. Her handling of cameras and television remotes usually ended up with an exhasperated "this damned thing!" She seems to be doing quite well with this camera which was probably a Christmas present. She was at Gary and Betty's house on Cottage Street in Rochester at the time. The photograph is labeled December 1981. Grandma also enjoyed being outside. Whether it was gardening, going for a ride, or just sitting on a porch, she enjoyed fresh air and sunshine. 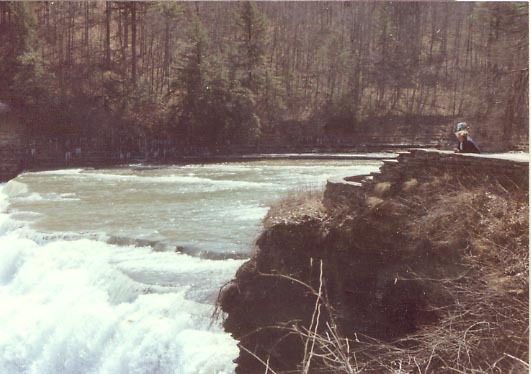 That is her on the right looking at the Middle Falls of Letchworth Park. She had visited the Park as a little girl and always liked returning for another visit! This photograph was probably taken in the in the early 1980's. please send me a copy to put on this site!